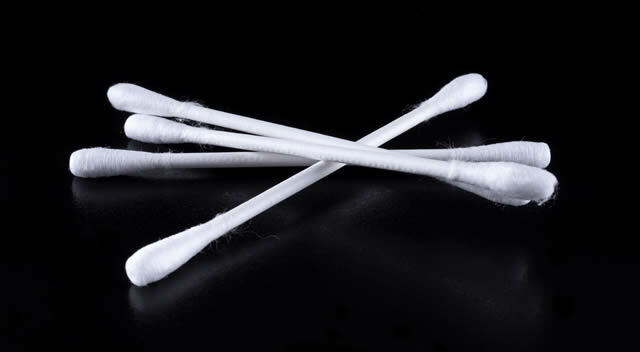 Q-Tips are widely used all around the world by many people for one thing – to get rid of the wax inside their ears. While you have your ears free from wax, this particular cleansing routine can be dangerous to your ears and their function. This routine is also counter-productive. While you may see some amount of residue on the cotton swab, inserting Q-tips actually cause the wax to go further into the ear canal instead of getting all of it removed. Swabbing in your ears can actually affect your sense of hearing, the moment that the ear wax gets into the eardrums instead of going out the ears. Ear wax is not necessarily bad for your ears. As a matter of fact, it is a protective fluid that keeps your ears safe and secured from insects. It is naturally created by the human body for one very important reason and removing it using cotton swabs stop the wax from doing its job. In case that you really feel you need to clean your ears then it will be better to leave the job to Advanced ENT & Allergy physicians. It does not mean that using Q-Tips is wrong but it turns out to be right when you don’t know how to use them properly. Many people actually use them improperly which later on causes hearing problems. Advanced ENT and Allergy physicians warn that using Q-Tips can actually cause damage to your ear drum that can lead to hearing loss. There’s a correct way to make use of Q-Tips and there is also an incorrect way of doing so. When you’re putting them inside your ears then it simply means that you use them improperly. Even some popular companies that manufacture sanitary products like Unilever warned their valued customers about the improper use of Q-Tips. They advised that you must stroke cotton swabs gently all over the outer ear whilst not entering the ear canal. When you accidentally pushed the cotton swabs deeply inside your ears, you might even push the ear wax further and it can result to earwax impaction. The signs and symptoms of this condition include dizziness, ringing sensation in the ears, pain and hearing loss. Whilst these cotton swabs were not primarily manufactured for cleaning the ear wax, it took half of the century before the manufacturers warn people about the use of their products. As of now, many of us are not aware of the danger that using Q-Tips can bring to their lives. If you noticed any type of hearing loss, please schedule an appointment with Advanced ENT & Allergy today. Relief is just a phone call away!